​About 20 colorful mobile sculptures, including one spoofing President Donald Trump, entertained onlookers in Key West during a weekend people-powered parade of kinetic creativity... Read More! ​About 20 colorful mobile sculptures, including one spoofing President Donald Trump, entertained onlookers in Key West during a weekend people-powered parade of kinetic creativity... Watch Video! The Papio Kinetic Sculpture and Art Bike Parade, a three-day celebration of art bikes and human-powered moving sculpture... Read More! ​Key West has long been known for its kinetic (motion) energy, but on May 6 from noon to 1 p.m., it becomes literal when... Read More! 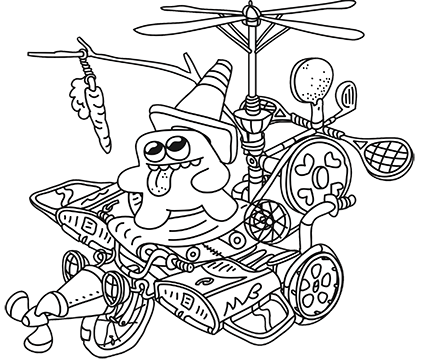 ​Kinetic Tiger and Artist’s Kin to Lead Second Annual Papio Kinetic Sculpture Parade—Some Tigers pounce, some (like Tigger) bounce, and one is soon to roll as Grand Marshal... Read More! ​Creative rebels and rabble-rousers take note— Key West Art & Historical Society wants you now! The 2nd Annual Papio Kinetic Sculpture Parade is ready to roll through... Read More! ​Some 24 colorful mobile sculptures and “art cycles” took to Key West’s streets Saturday in a people-powered parade of kinetic creativity... Read More! ​RISING JUST UNDER 100 FEET above sea level, Key West’s biggest pile of trash is hardly recognizable as such... Read More! 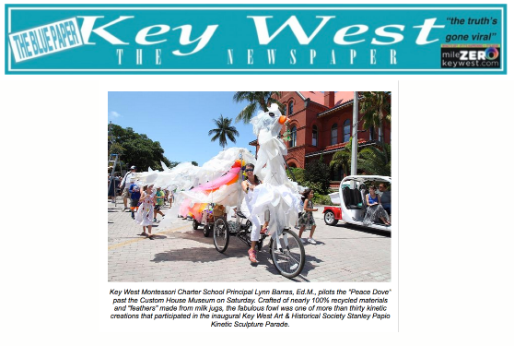 ​Key West Art & Historical Society’s Second Annual Papio Kinetic Sculpture & Art Bike Parade rolled through downtown Key West... Read More! ​Key West has long been known for its kinetic energy, but on May 6 from 12:00PM-1:00PM, it’s about to become quite literal when... Read More!